3-Edward Thomas Harvey was born on 24 Nov 1896 in Westbury, Tasmania and died on 27 Jul 1979 in Devonport, Tasmania at age 82. He served in the First World War. Edward married Grace Emily Nicholls, daughter of George Bunny Nicholls and Emma Eugenia Boultbie, on 21 Apr 1920 in Flowerdale, Tasmania. Grace was born on 22 Oct 1900 and died on 1 Sep 1957 at age 56. 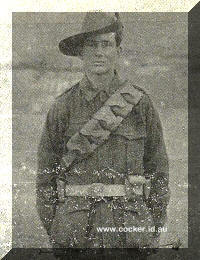 Edward enlisted as a trooper in early 1915, later transferring to the Third Field Ambulance Brigade. After discharge in 1919, Ted married Grace Nichols, whom he met while farming at Flowerdale where her mother was the post mistress. He farmed there for some years and later lived at Derby, but after the dam-burst devastation in the 1929 floods they moved to Launceston where he worked as a salesman for Rawleigh's Products; Cox Bros.; and then AMP Insurance. In 1940 he rejoined the army, serving at Brighton for two years before being discharged medically unfit on a T.P.I, pension. 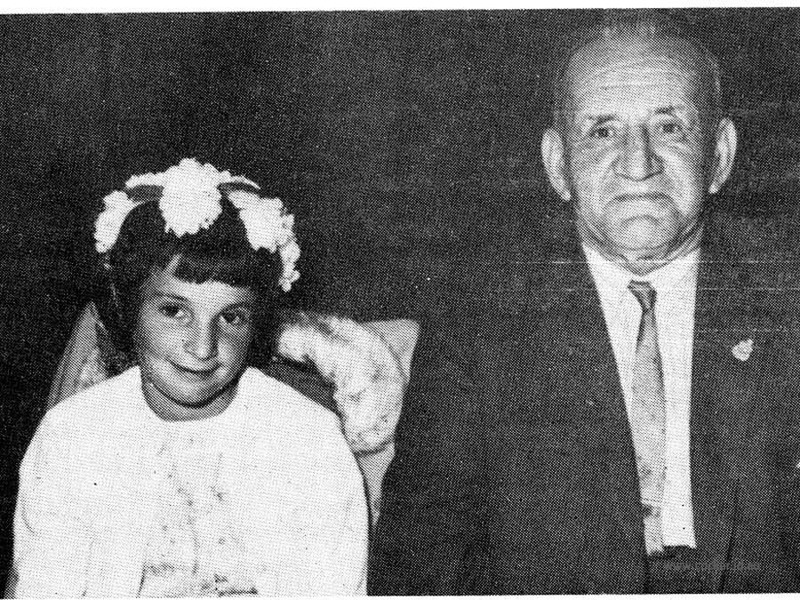 In 1946 he moved to Devonport living the last few years with his daughter Dorothy and husband Ray Pitchford. He died in 1979 at the age of 83. 4-Dorothy Margaret Harvey was born on 10 Aug 1921 and died on 15 Oct 1985 at age 64. Dorothy married Raymond Gerald Pitchford, son of Gerald Lindsay Pitchford and Lucy Letitia Fitzgerald. Raymond was born on 5 Sep 1924. They had seven children: Glen Raymond, Tony Gerald, Mark Brian, Ann Margaret, Craig Dale, Janne Dorothy and Sue Annette. 5-Glen Raymond Pitchford was born on 22 Apr 1950. Glen married Karen Michelle. Karen was born on 14 Jul 1955. They had three children: Natalie Jane, Naomi Karen and Alyce Michelle. 6-Natalie Jane Pitchford was born on 15 Jun 1976. 6-Naomi Karen Pitchford was born on 18 Jul 1977. 6-Alyce Michelle Pitchford was born on 5 Aug 1986. 5-Tony Gerald Pitchford was born on 17 Jan 1953. Tony married Sue Jean Gregory. Sue was born on 11 Apr 1955. They had three children: Rachel Emma, Daniel John and Hannah Louise. 6-Rachel Emma Pitchford was born on 15 Nov 1976. 6-Daniel John Pitchford was born on 12 Sep 1978. 6-Hannah Louise Pitchford was born on 9 Mar 1981. 5-Mark Brian Pitchford was born on 4 Sep 1954. Mark married Gayle Rhonda Reeves. Gayle was born on 24 Mar 1956. They had two children: Troy and Simon. 6-Troy Pitchford was born on 3 Mar 1976. 6-Simon Pitchford was born on 18 Sep 1978. 5-Ann Margaret Pitchford was born on 1 Sep 1956. Ann married Robert Redpath. Robert was born on 23 May 1951. They had one daughter: Tamieka Ann. 6-Tamieka Ann Redpath was born on 11 May 1987. 5-Craig Dale Pitchford was born on 12 Jan 1958. Craig married Sharon Maree Nielson. Sharon was born on 28 Mar 1963. They had two children: Tracy Ann and Mathew John. 6-Tracy Ann Pitchford was born on 15 Jun 1981. 6-Mathew John Pitchford was born on 13 Sep 1982. 5-Janne Dorothy Pitchford was born on 5 Oct 1964. 5-Sue Annette Pitchford was born on 16 Mar 1966. 4-Bruce Edward James Harvey was born on 1 Feb 1924, died on 20 Dec 2005 at age 81, and was buried on 28 Dec 2005 in Carr Villa Cemetery, Launceston, Tasmania. He served in the Second World War. Bruce married Eileen Elsie Pullen, daughter of Bertie Harold Pullen and Ismay Jacobs. 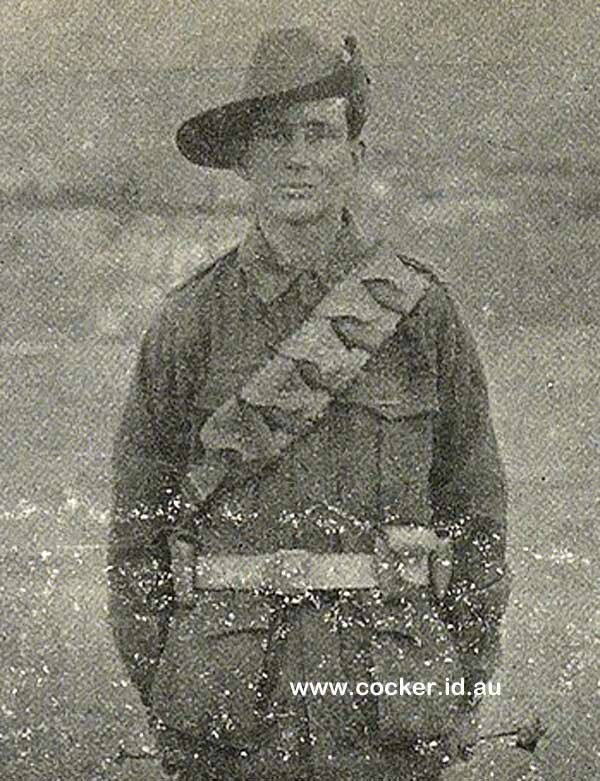 Bertie served in the First World War. Eileen was born on 24 Nov 1925. They had three children: Judith Louise, Michael Bruce and Rosemary Joy. 5-Judith Louise Harvey was born on 7 Sep 1945. 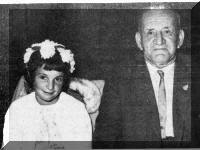 Judith married Gerald Barry McNulty. Gerald was born on 28 Nov 1940. They had two children: Linda Ivy and Dale Gerald. 6-Linda Ivy McNulty was born on 3 Feb 1966. 6-Dale Gerald McNulty was born on 22 Feb 1969. Judith next married Glenard Percy Atkinson. Glenard was born on 26 Sep 1947. They had one son: Andrew Harvey. 6-Andrew Harvey Atkinson was born on 20 Dec 1976. 5-Michael Bruce Harvey was born on 12 Apr 1948. Michael married Dianne Veronica Voss. Dianne was born on 8 Nov 1945. They had three children: Susan, Stephen Edward James and Tania Louise. 6-Stephen Edward James Harvey was born on 27 Oct 1966. 6-Tania Louise Harvey was born on 20 May 1968. 5-Rosemary Joy Harvey was born on 21 Jul 1953. Rosemary married Rodney Maxwell Eiszelle. Rodney was born on 7 Jan 1949. They had one daughter: Georgina Louise. 6-Georgina Louise Eizelle was born on 14 Aug 1977. 4-Eric Norman Harvey was born on 22 May 1925. He served in the Second World War. Eric married Rosa Milton. Rosa was born on 5 Jan 1924. 4-Alex Thomas Harvey was born on 28 Mar 1927.